Cranberry and apple juices are simmered with fruit and sweet wine to create a hot beverage that will warm you up from the inside out! 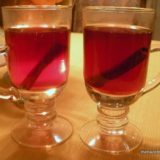 One of my favorite hot cider recipes, Mulled Cranberry Cider is warming and delicious without being too sweet. With a little rum – or even some red wine, too – you’ve got yourself a winning holiday cocktail. I first caught wind of the idea of hot cranberry cider on a Martha Stewart Thankgiving Special. It was this episode – or one I caught around that time – where they showed a blooper reel and in one, she was cluelessly holding up two melons at chest level, talking very seriously about how to choose the ripest – apparently they didn’t realize the, um, gravity of the situation until after filming the segment. You just have to see it, but it’s hee-larious. I love that Martha can laugh at herself – especially because she just sometimes comes across as the type of person (as much as I love her) that can’t. And that she’s down with the whole Whatever, Martha! thing? Bless her. She rocks. So anyway, Mulled Cranberry Cider. It’s good stuff, especially for this time of year, and especially with rum. 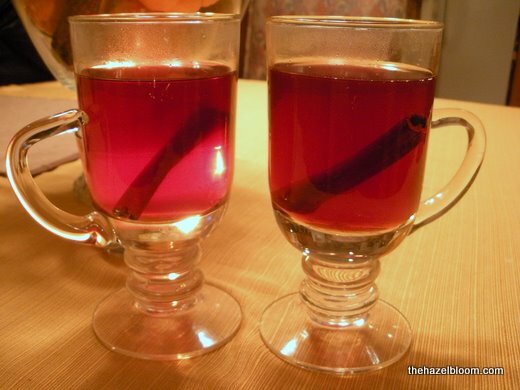 I like this better than hot apple cider, actually – it’s a little easier to drink because it’s not cloyingly sweet. Which actually can make this a little dangerous with rum – consider yourself warned! Here’s my version. Cozy, warm, happy holidays to you! The holiday season is officially here. 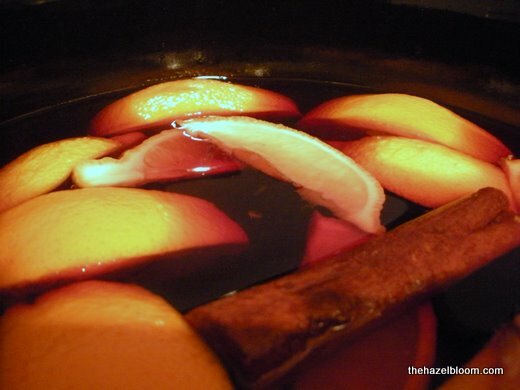 Along similar lines (except cold) check out this recipe from Cooking Light for Spicy Rum Punch. I need to try this one next. Add all ingredients (except rum, if using) to the Crock Pot, and cook on high for about an hour and a half, or low for about three hours. Switch the Crock Pot to the warm setting, and it’s ready to serve when you’re ready to drink! You can also warm this in the stovetop. Let simmer very gently, covered, for about 30 minutes. Ladle the cider into mugs (leaving the fruit in the Crock Pot). I like to throw another cinnamon stick in there for good measure. Those nice long cinnamon sticks that double as a stirrer would work even better. Oh right, the rum! 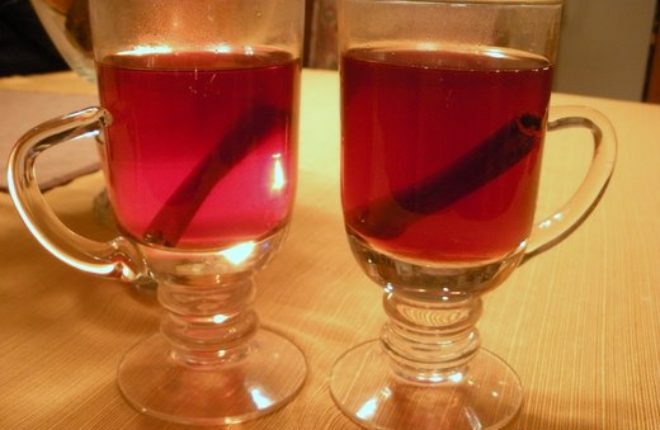 Add a shot of rum to your glass before you ladle in the cider, if you are rum-inclined. Is there a button on this site, so I can forward to my FB friends? AND I love Sonia’s reply. I would just have to buy more. Leftover’s isn’t an option I have experienced either!